Happy Summer everyone! Is anyone hostessing a 4th of July party this year? I'm not, but I do look forward to other home entertaining this season. 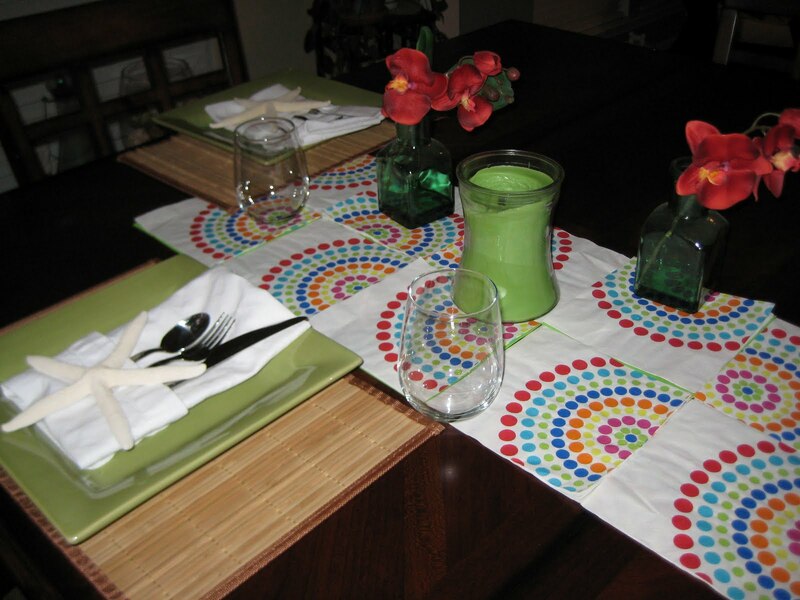 I was reading through the July 2010 issue of Better Homes & Gardens and loved this clever idea for a table runner. Those are paper cocktail napkins! Use as many coordinating patterns as you like, just tape them underneath. I attempted to put this nifty trick to use. 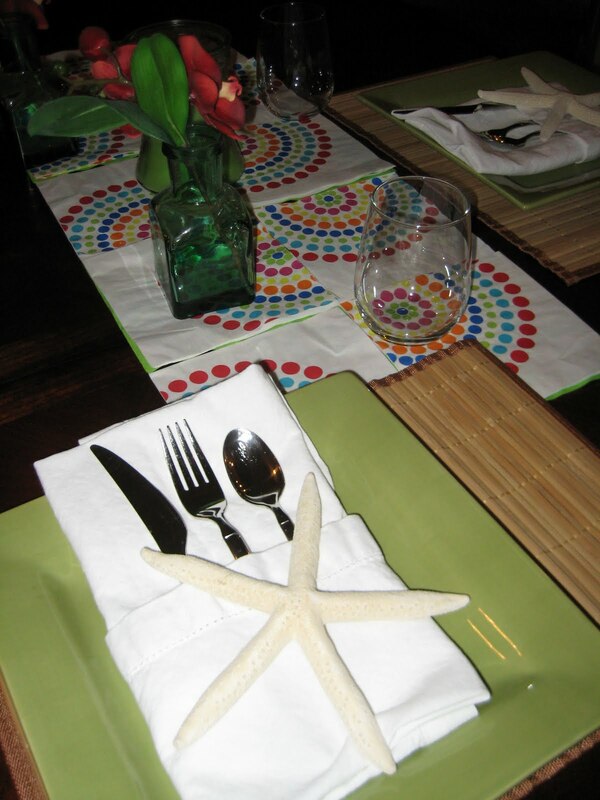 My napkins are from Target's summer collection. I put this together very fast with other things from around the house. My favorite summer accent are these starfish :) I had planned to make a nice Sunday breakfast for just me and DH so this effort was not put to waste. 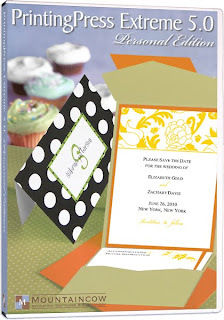 I've known of the Envelopments brand since I was planning my own wedding in 2006. Brides-to-be from The Knot, aka. 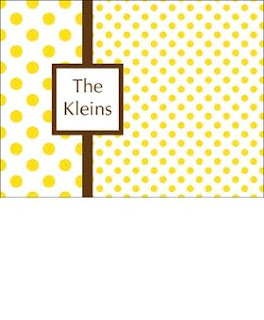 "knotties", are big fans of Envelopments and all the possibilities. But I never new about these Recipes until now, and I like I just struck gold! If you are looking for inspiration for your wedding then you have to check out their ideas, complete with recipe instructions for designing this look. Perfect for the DIY Bride! "Let’s say just for the sake of conversation that you aren’t exactly sure what you want. You have ideas, but nothing is set in stone. Well, you have come to the right place. Featured Recipes is full of possibilities to help start the process. 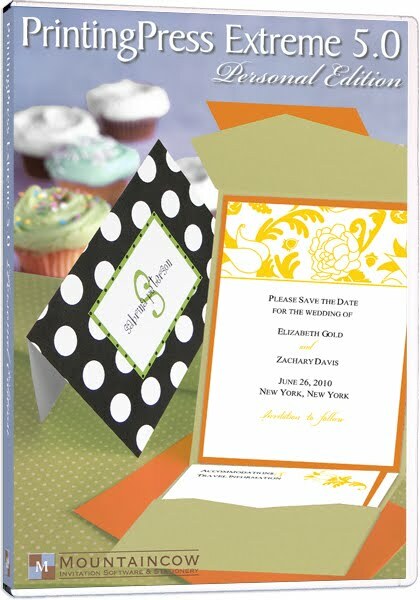 Choose one of the classics or combine and blend to create that little something that speaks to you and your event." Lately I've been day dreaming of a Hawaiian vacation. And it doesn't help that one of my favorite people lives there now - jealous much?!? I'm going to make my best attempt to go out to the Aloha State this year and live the dream! 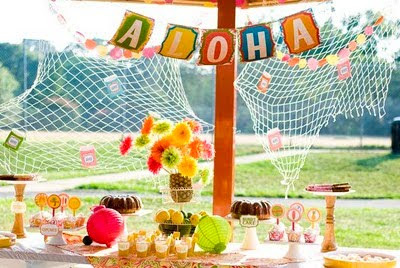 If a tropical paradise isn't in your near future, why not bring the paradise to your own back yard with a luau! Let me set the scene for you ... late cookout at dusk when the hot sun has settled down. 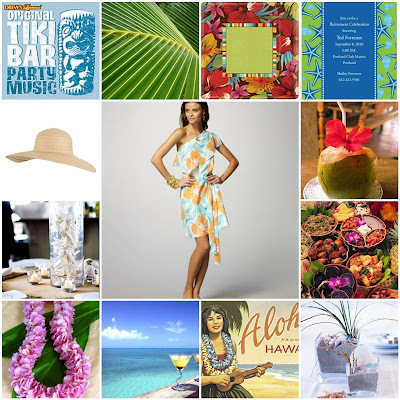 Beachy music - think Blue Hawaii and The Beach Boys. Tiki torches lighting up the patio and sea shells serving as votive holders. Hawaiian theme drinks served from coconut cups! Shrimp, pineapple, kabobs. A table top decorated with pineapples and palm leaves. Straw hats and flower leis. Remember, food is important, but presentation really makes it! I think I'm going to have to plan a luau at my house for sure! 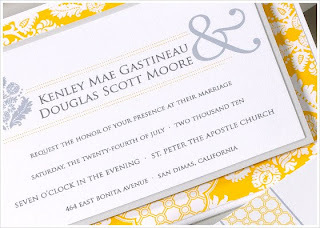 Update (6/23/10) : I had to add this blog link from Amy Atlas. 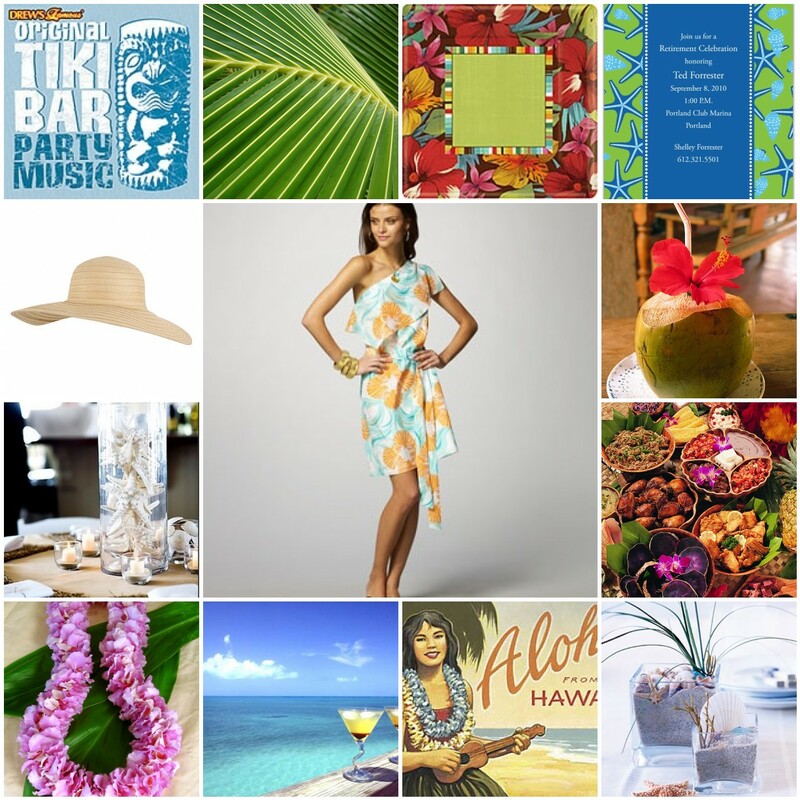 See her Luau ideas and more HERE! 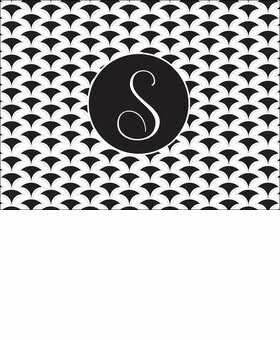 Confections by Shara's Paperie has joined the PaperConcierge family! Confections adds some great personalized products to our Gifts & More section. My favorite is the Tempered Glass Cutting Board. 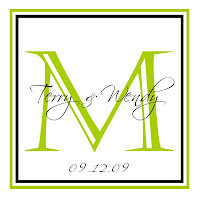 Available in many colors and design options, they are the ideal gift for a housewarming, bride to be, friend or family member who has everything. These are so cute, I'll be leaving mine out for display! I'm in love with Printing Press! 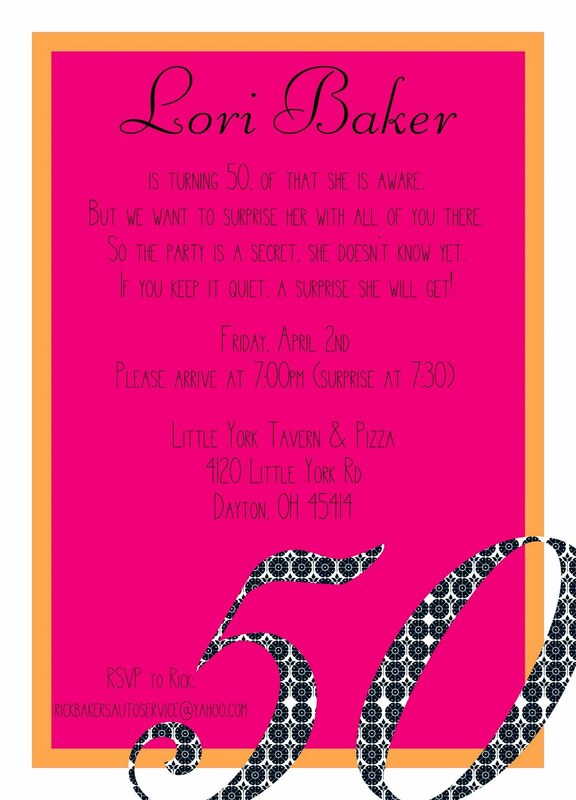 I've been keeping this a secret for way too long! 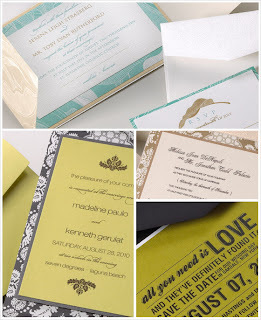 And now that I'm blogging about my love for paper I've decided to share this with ya'll. This blog isn't only for PaperConcierge business, so I'm going out on a limb here and passing on a huge tip for those of you who enjoy DIY projects. So what is Printing Press? 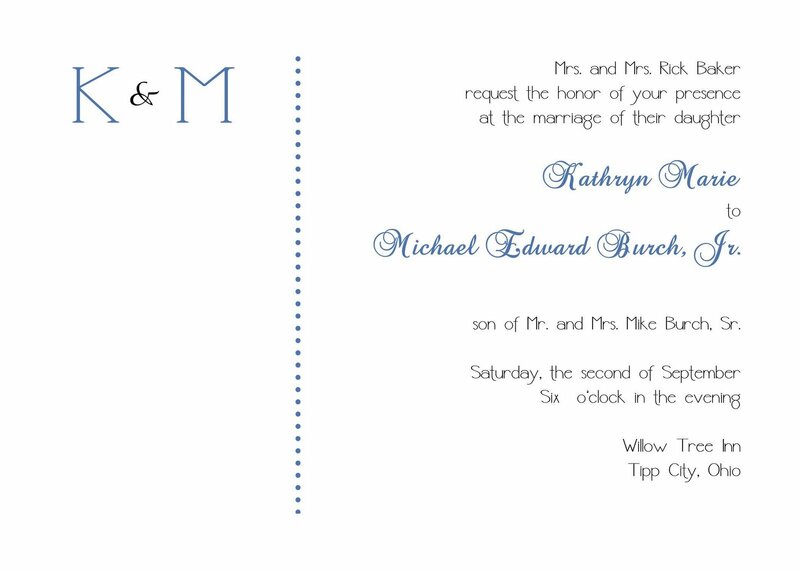 It's an awesome software by MountainCow that helps you create all your staitonery and invitations at home! 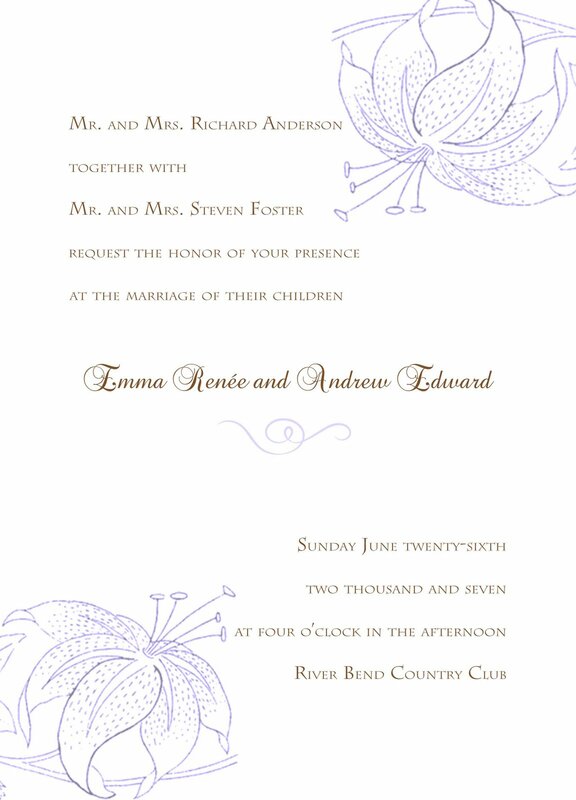 I've used this software for customer invitation projects (Save the Dates, invitations, personal stationery, etc...) as well as pre-designed invitations from a local store where I print the wording myself. No more fumbling through Microsoft Word or Publisher. Printing Press makes it SO EASY! You can buy different levels of the software - basic all the way to a professional class - to suite your personal needs. I have the Extreme 4.0 version and its been great! Summer of '06 I worked part-time in a local stationery shop and they used PrintingPress for all of their in-house printing. When I left that job I bought the software right away. Here are a few things that I've designed with Printing Press.